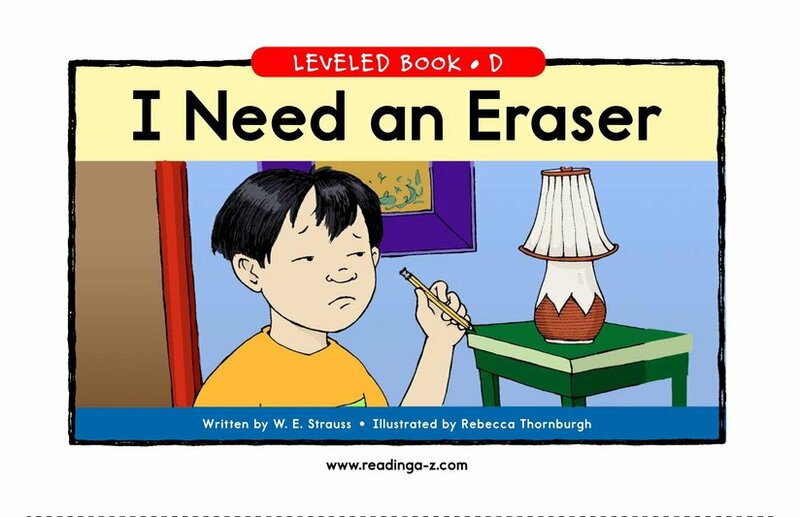 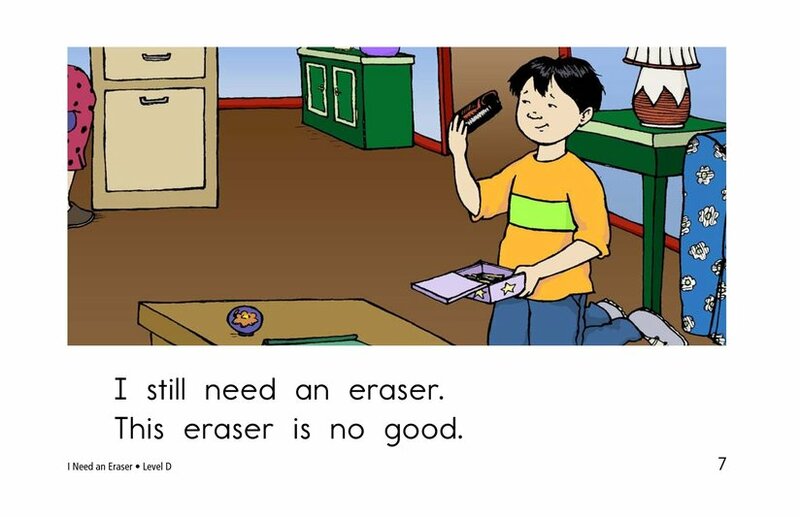 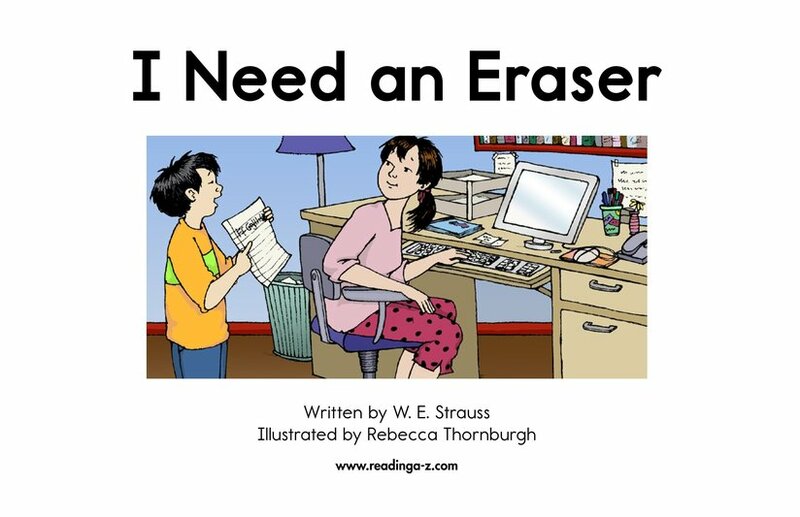 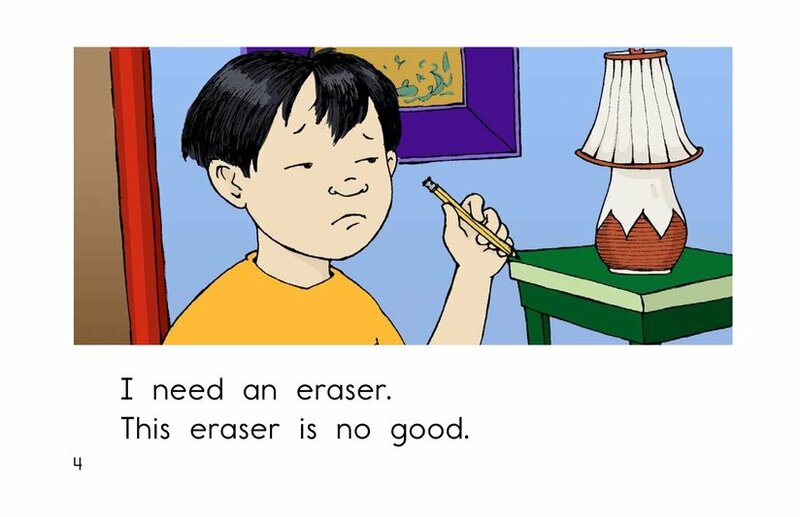 I Need an Eraser is a short story that describes what one boy does when he makes a mistake while writing. 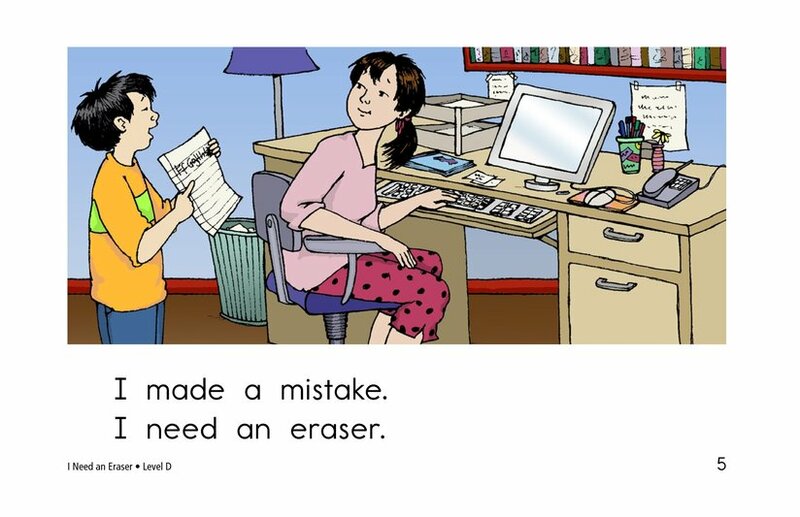 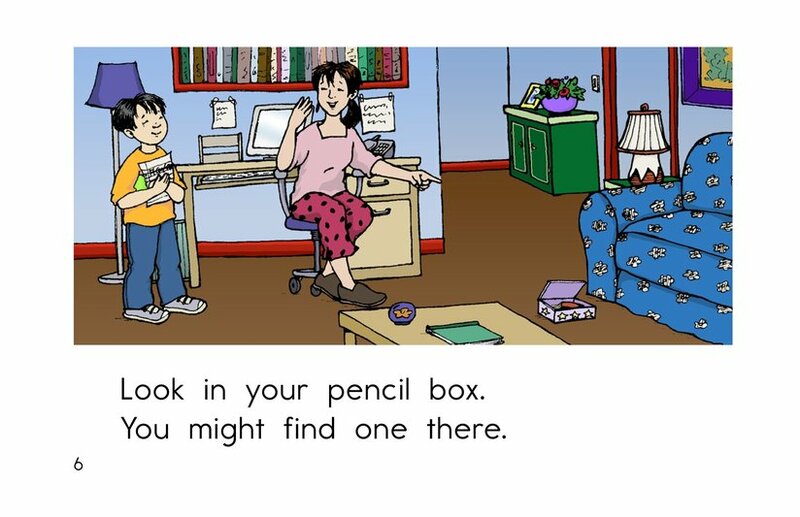 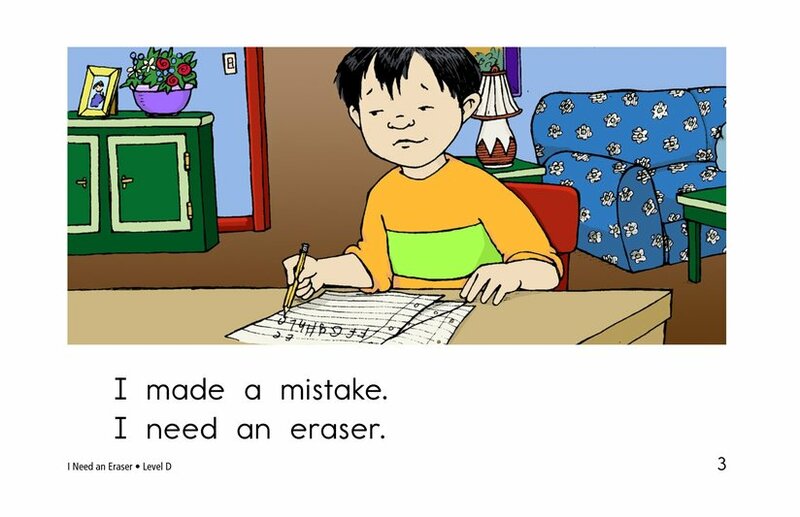 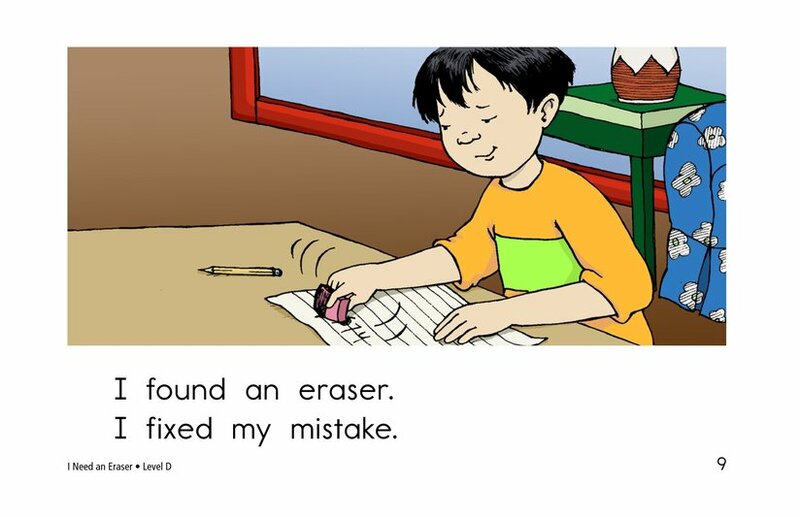 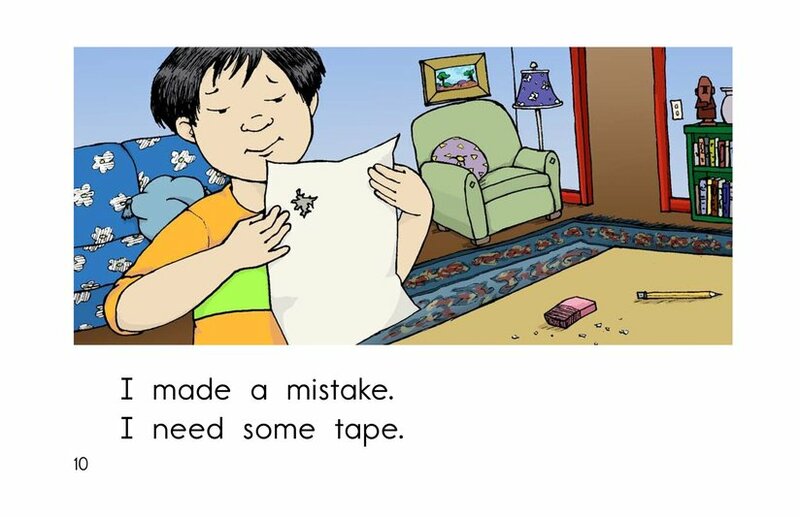 When he finally locates an eraser to correct his mistake, he encounters a new problem--a hole in his paper caused by erasing his mistake. 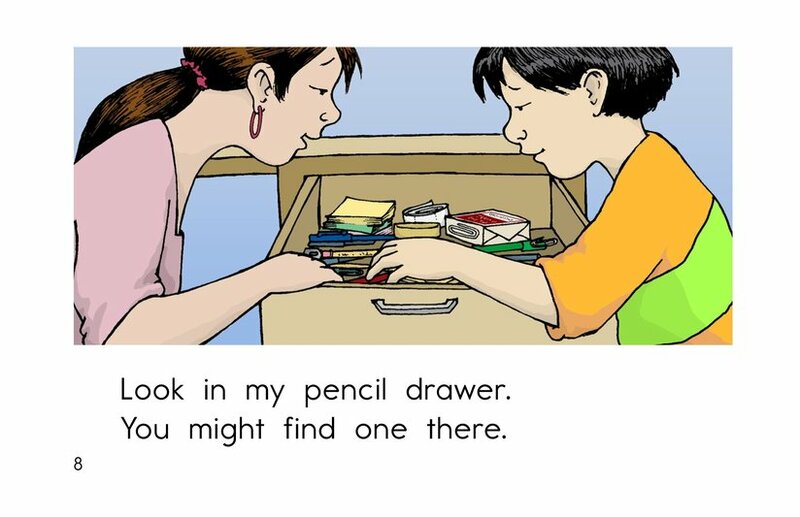 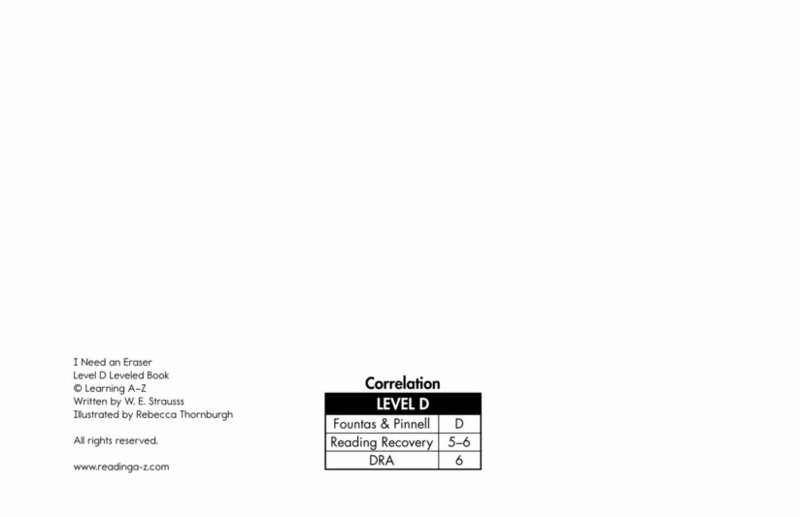 Pictures and repetitive text support the reader.